So at the beginning of this year I created my Must Make List of Quilts.... well the year has come and gone, and only a couple of those quilts were actually made. The year was busier than expected with going from working fulltime, back to being home fulltime, and other serious personal stressors. Quilting and sewing took a back burner during all of that, but now that things have settled I can get back to working on these and other projects. Several of them are already in progress, or at least have fabric pulled for them. While others are simply an idea waiting to take shape. Valentines Heart quilt via this tutorial from Cluck Cluck Sew. - Fabric cut, waiting on background fabric to arrive. Cluck Cluck Sew Touchdown quilt. Swell quilt made with Kate Spain's Solstice collection. - Needs basting, quilting, and binding. Nancy Drew quilt for my mom - Done! Needs post. i heart you quilt, pattern by V and Co. This list is meant to be something that is every growing and changing. I already edited out a few quilts that I have now decided I don't want to make because sometimes you just fall out of love with a pattern. 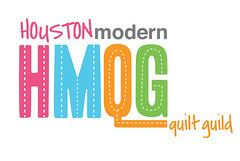 I am hoping to finished 1 quilt a month in 2016, wish me luck! my goal for 2016 is no ufos. i have a donation quilt to quilt and then it's finish ALL ufos. Welcome to Project 48, An Epic Quilt Sampler!